Perspectives from participants of Nanyang Business School's MBA and MSc programmes. In considering where to pursue a Master of Business Administration (MBA) programme, international students should give serious thought to the cosmopolitan city state of Singapore. Nicknamed “Singapore Inc”, the country rivals Hong Kong, Shanghai and London as a global business centre. It also boasts world-class education, a multicultural environment, innovative research and scholarship opportunities. Focused on business, investment and entrepreneurship, Singapore has three institutions (Nanyang Business School, NUS Business School and INSEAD) in the top 11 spots of the QS Global MBA Rankings 2018 for Asia, Australia and New Zealand. Last year, Singapore placed 14th in the QS Best Students Cities Rankings, ahead of Zurich, Vienna, Kyoto, Edinburgh and New York. In terms of study finance, foreign students have a range of scholarships, grants and fellowship opportunities to choose from. International students are eligible for grants. While they don’t have to repay the grants, students do have to sign a bond that requires them to work in Singapore for at least three years after graduation. Besides offering MBA specializations (marketing, finance, property, finance, strategy, healthcare management and more), business schools in Singapore also have academic partnerships with overseas institutions. In the case of Nanyang Business School, they include the Wharton School in Philadelphia, Georgetown University and UC Berkeley. In Singapore, MBA graduates enjoy high employability rates, thanks in part to the country’s highly competitive economy. It placed third in the World Economic Forum’s Global Competitiveness Report for 2017-2018, ahead of the Netherlands, Germany and Hong Kong. 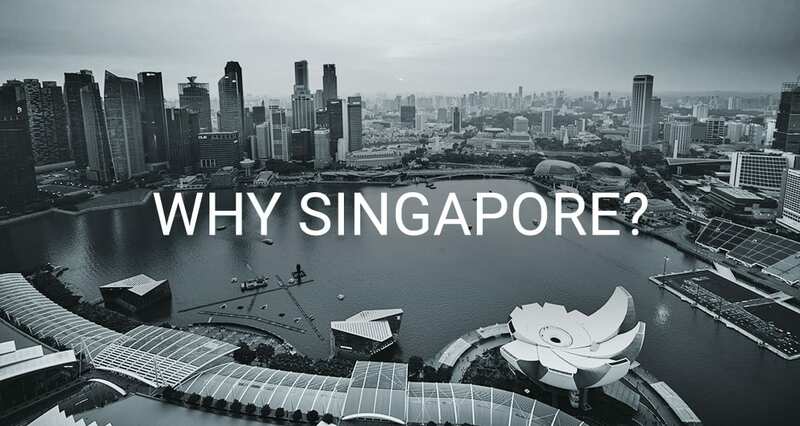 Indeed, Singapore is host to many multinational companies, many of which have their regional headquarters in the country – a rich source of employment opportunities. That is because of Singapore’s business-friendly environment in which the government makes it easy for companies to be incorporated in a day or two. Last year, the World Bank ranked Singapore number two for ease of doing business. For MBA students who aspire to be entrepreneurs, Singapore is fostering a start-up ecosystem to encourage economic activity and investment. Located in Southeast Asia, Singapore is well poised to play a key role in the development of the so-called Asian Century. As Asian countries will achieve progress in innovation and technological advancements in the years ahead, an MBA from a Singapore institution will doubtlessly benefit business executives and entrepreneurs. As local universities have collaborations with top universities abroad, Singapore has been attracting foreign students, currently hosting some 50,000 of them from around the world, according to Unesco. The diverse population of foreign students will enrich their study experience from the ensuing exchange of ideas and cultural interactions. Away from the campus, life in Singapore will prove to be a breeze for foreign students, as most Singaporeans speak English, the first language for many. Singapore is also one of the safest countries in the world. Its strict laws and low crime rates mean that the city streets are very safe for residents. In addition, Singapore’s transport system is one of the best in the region and transport fees are very affordable. Besides its wide selection of shopping malls, restaurants and bars, Singapore has many cultural attractions and vibrant nightlife. Its geographic location serves as a gateway to the region, where foreign students can take advantage of cheap travels to experience the rich cultures of neighbouring countries such as Thailand and Vietnam. Visit our website to learn more about our MBA programmes!